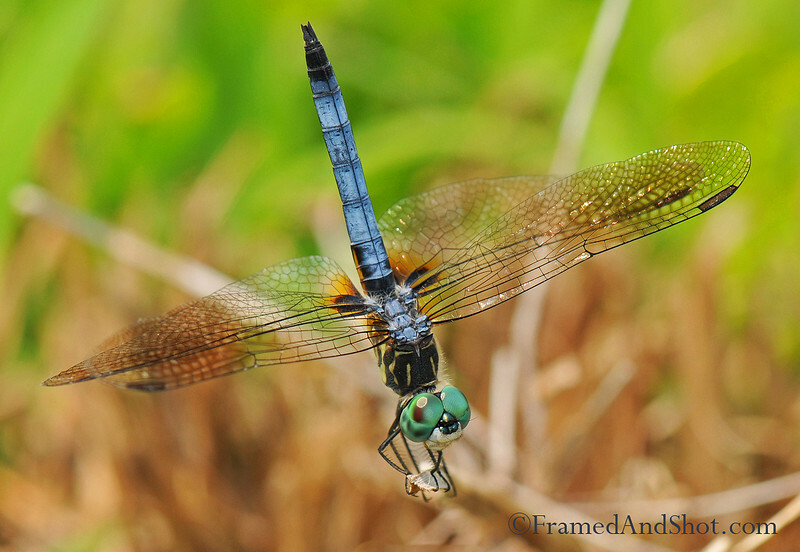 We love dragonflies, they are slender and beautiful – and even comes in different colors! There are more than 5000 different species in the world – We believe this is a Blue Skimmer Dragonfly, also known as Sky Blue Dragonfly, medium in size, body length from 45mm, theyr bodies are long and slender, male adults are powder blue in colour with tapered dark abdomen tip, just like this one! Photo taken in Brazos Bend State Park in Texas, USA.